My mother grew up in a tiny ranching town at the foot of the Blue Mountains in Eastern Oregon where winters were long and stores were few. Which meant that any fruits or vegetables that grew in their garden or that they could buy from local farmers were canned or preserved for the cold months. During my childhood she'd haul out the old blue and white-speckled canner and "put up" jars of cherries, peaches and jams that would line the shelves of the pantry, releasing the sweet flavor of summer on frigid winter mornings. 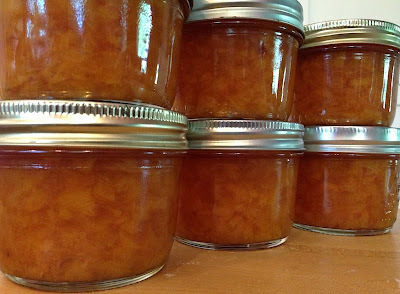 I never caught the canning bug from her, but every once in awhile even I'm tempted to preserve a little summery goodness in glowing glass jars. Though instead of lining my pantry they go in the freezer until a piece of bread or bowl of ice cream calls for some adornment. 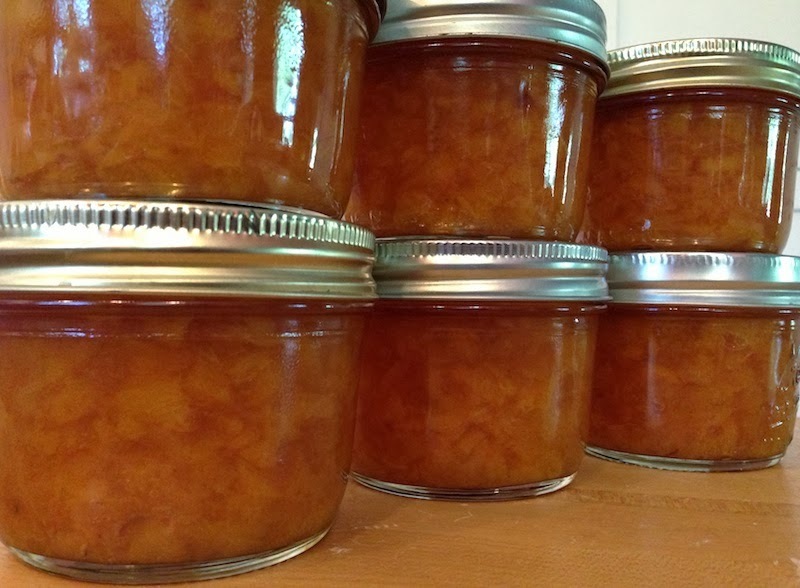 This year's stunning peach crop deserved to be enshrined in jars and celebrated on special occasions, so I did a little research and made the following freezer jam. I think my mother would be pleased. Place three salad plates in the freezer—these will be used to test the jam to make sure it's jelled. Bring a shallow pot of water to boil on the stove and put the caps and screw-on lids in it. Boil for 1 minute to sterilize them. 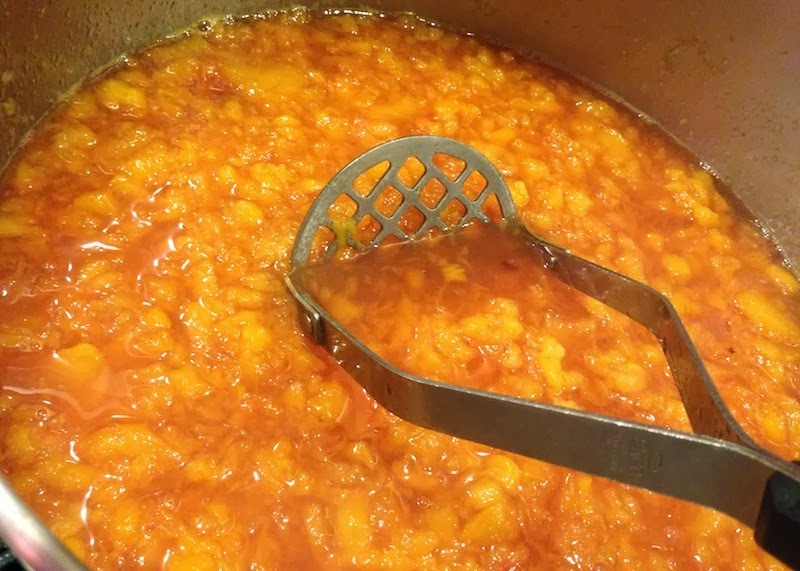 Spoon the cooked jam into clean, dry glass jars, leaving about 1/4 inch at the top. Cap and screw on lids. Allow to cool and then put them in the freezer. Get more peachy recipes: Bourbon Peach Sorbet, Peach Cobbler.